After our fun handprint apple tree making, I thought we should give apple stamping a try. The boys (I watch a friend’s kids two days a week) loved it!! 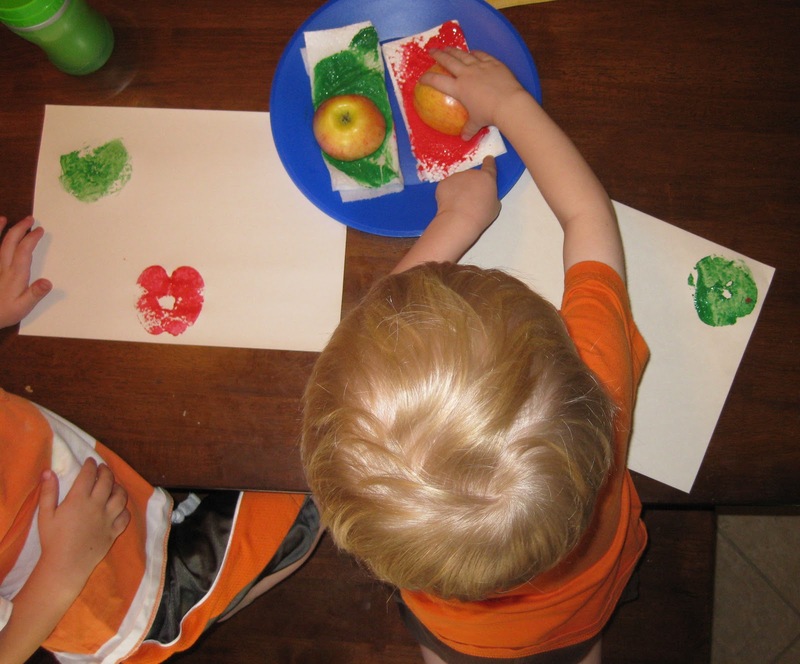 You can cut the apples two different ways for your stamps–if you cut the apple vertically (above left), it will give you that “classic” apple shape. If you cut it horizontally (above right), the seed pockets in the core make a cute star shape. I opted for red and green apples–seemed appropriate. 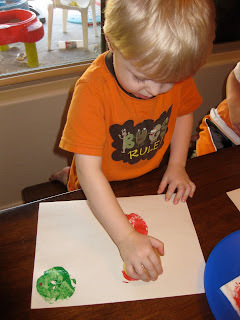 We used washable Crayola Kids’ Paints–I put of each paint color on a paper towel to act as a sort of stamp pad. This seemed to help get off some of the excess paint. 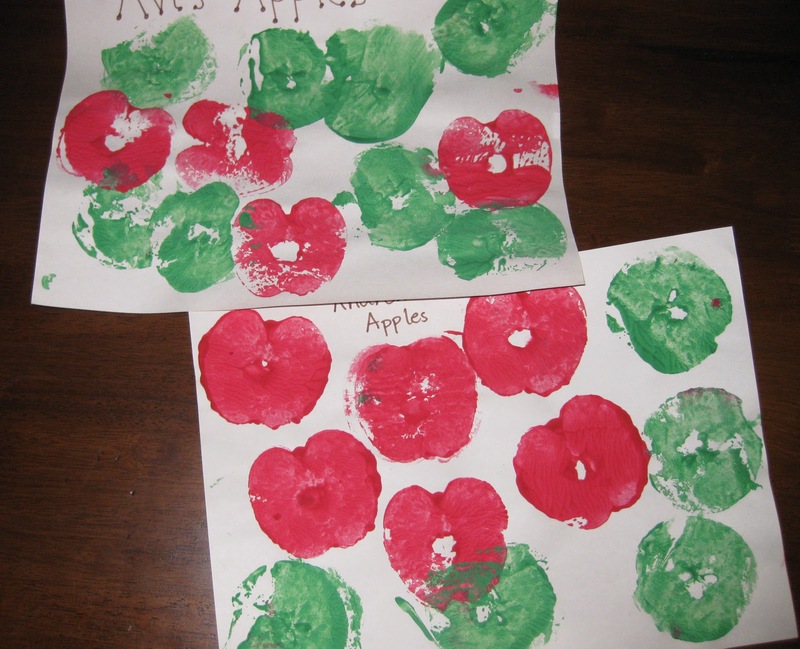 The boys loved making their stamp pictures and trading off between the apples. Unfortunately, the apple “star” didn’t show up as nicely as I had hoped. But, the pictures are cute nonetheless. Add a little title or other embellishment and it is a very cute displayed next to the apple tree. How do I pin this so I will remember it when my sons a bit older? Kate–do you have the Pinterest button installed on your toolbar (you can find directions to do that on Pinterest’s site)? Then, you can pin anything you want from any site. 🙂 Since this is an old post, I don’t have the pin-it button installed on it. Need to go back through old posts to do that!